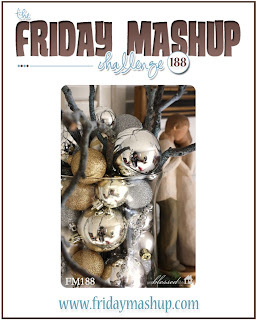 I just had to play along with the Friday Mashup Challenge this week (FM188). Who could resist creating a holiday project with silver or gold?? 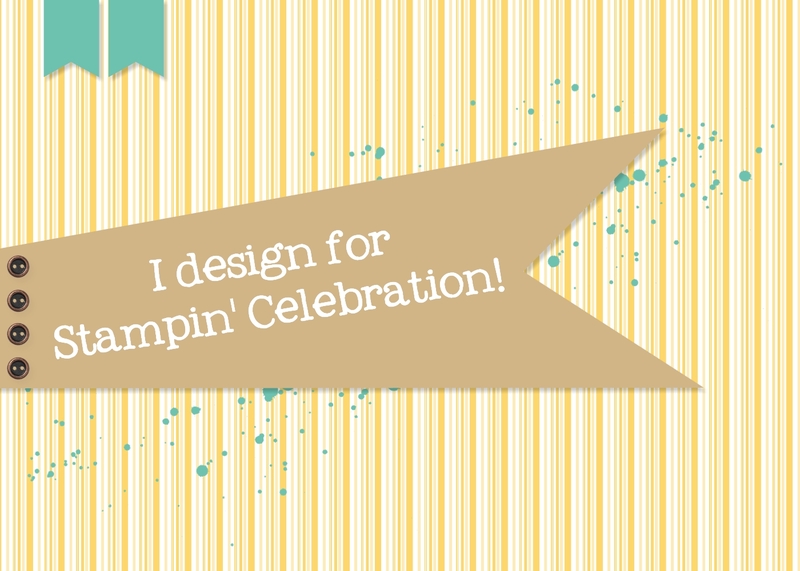 Plus, I had an idea playing my mind from the Stampin Celebration inspiration challenge (SC92) so I couldn't resist taking time away from preparing for stamp camp this Friday (which, as of today I only have 2 of the 5 projects designed - stress, what stress??). I have to say, I am not much of a gold person, I prefer silver, but a deer silhouette in gold glitter paper just had to be created! I don't really have a die cut of a deer silhouette so I went to My Digital Studio and "what to my wandering eyes should appear, but a silhouette of a beautiful deer", I downloaded the Remembering Christmas stamp brush (shockingly I did not have it already) and uploaded it to my Cameo and happily cut-out a few deer. Best birthday present ever! In need of a few more tags, I decided to make these pretty guys into a tag. 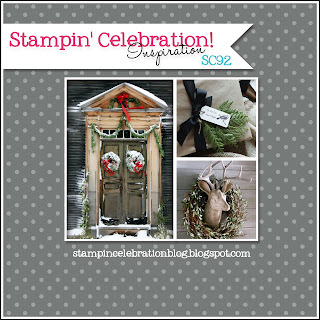 The fluffy wreath was also inspiration from the Stampin' Celebration inspiration challenge last month. I think that was one of my favorite inspirations thus far! 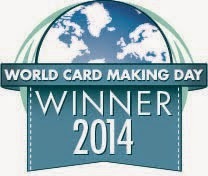 Here is a close-up of the image. For the wreath I punched white filter paper with the 4-petal flower from the itty bitty punch pack. For the wreath base I used the 1-1/4" circle punch and then the 1-3/8" circle punch to make a frame. Then I stretched a few glue dots to the frame and added the filter paper flowers one by one to the frame until it was full. I decided to mount this beauty onto a cherry cobbler tag using the angle tag topped punch. I stamped the background of the tag with the hardwood background stamp with cherry cobbler ink. The greeting is from the Endless Wishes photopolymer stamp set (another favorite), stamped with versamark and heat embossed with white embossing powder. Hope you enjoyed the tags. I love them! I may be cutting more of these deer silhouettes out to use this year! After stamp camp that is!! Wendi, you sound like me...just a little stressed! lol I had a stamp a stack on Tuesday (and have on tomorrow evening), but on Monday evening I still had to clean my basement and design and prep my last card. Got it done though...whew! lol Your deer tag is fantastic. I love the gold deer against the cherry cobbler paper, and the white wreaths are a great finishing touch. Thanks for playing with us at the Friday Mashup. Wendi- glad you took the time to create for this Friday Mashup challenge. Love the tag with the awesome wreath around the deer- a great element that takes the tag to another level. Thanks for sharing with the Friday Mashup this round! Ohhh, love the way you used these deer on your tags, Wendi. These are definitely the prettiest I've seen!